An exciting moment in Tuscany, as new discoveries converge with ongoing exhibitions exploring the written word of the ancient population of Etruscans. These people who lived, prayed and ruled 7 centuries before Christ were years ahead of others in metal crafting, equal rights and culture. These ancient markings, not finding roots in any the oldest languages known to man, have remained a mystery to researchers. So when digs, like those of the Mugello Valley Archaeological Project (MVAP) at Poggio Colla, made a 2500 kilo discovery – let’s just say it has the capacity to potentially revolutionize our understanding of this highly egalitarian society. 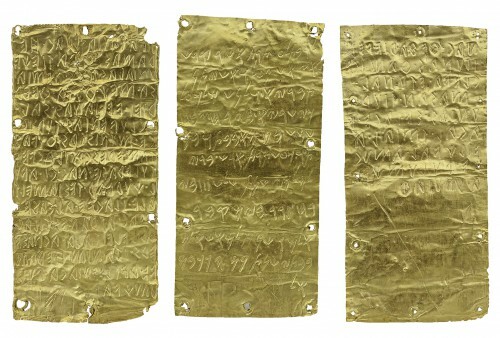 The inability to decipher the Etruscan writing is essentially due to the the scarcity of long “stories” and an abundance of short text with a very limited range of subjects, words and concepts: short funerary inscriptions with names and titles, commercial information and juridical terms. There is simply no base for comparison. Imagine the excitement of finding a “document” of sorts with over 70 characters (a mix of legible letters and punctuation marks), one of the longest examples of Etruscan writing known in the modern world! Just think, half the length of a Twitter message – and yet it is causing ripples of excitement in the academic echelons of ancient history. 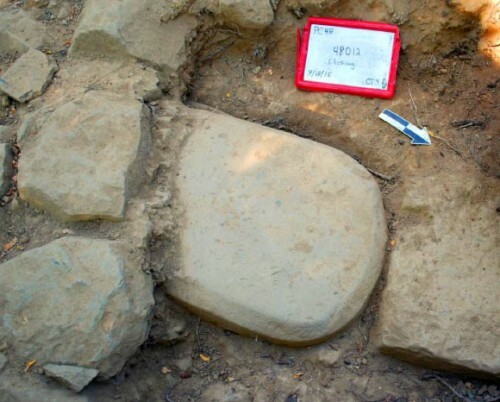 Weighing in at over 500 pounds and more than four feet tall, this stele is truly an exciting find. 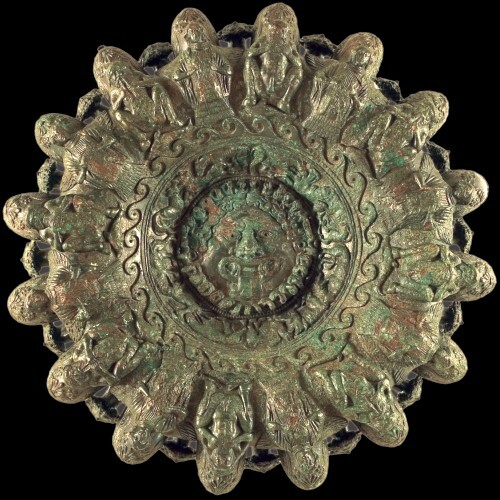 Predating this discovery, are two unprecedented exhibitions in Tuscany highlighting the Etruscans, which make the timing of this “novità” even more special. For the first time in over thirty years, after unearthing important finds near Montpellier, the academic world has gathered together a truly impressive collection which examines the characters and meanings of the Etruscan letters and words. 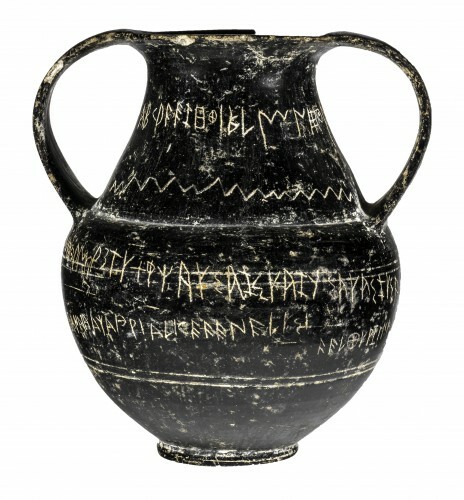 The exhibition, showing in Etruscan Academy Museum in the city of Cortona: Gli Etruschi Maestri di Scrittura Società & Cultura Nell’Italia Antica is not only a collection of objects to be examined, but an effort to transform the signs into a form of art as much as an innovative and fascinating graphic design. 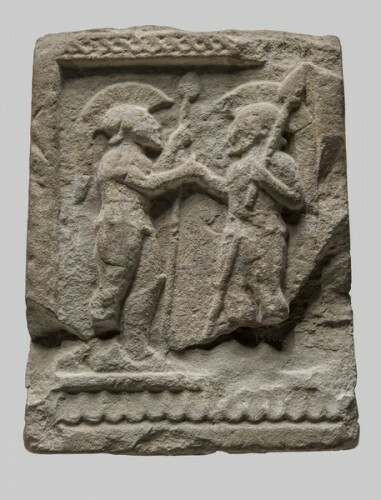 The above mentioned stele was officially reported during an of the Tuscan Archaeological Superintendency called “Shadow of the Etruscans,” at the Palazzo Pretoria Museum in Prato. An exhibition that reveals new aspects of the archaeological past of Prato, Mugello and Tuscany in general. Among the vast information surrounding the “symbols of a civilization between plains and hills” there is a section can offer insights to the the importance of the newest discovery. There is an exceptional display, map and explanation of stones from Fiesole which are “stelae” (stele, similar to the one found at Poggio Colla) and slabs, of hard sandstone, with relief decorations and characters.